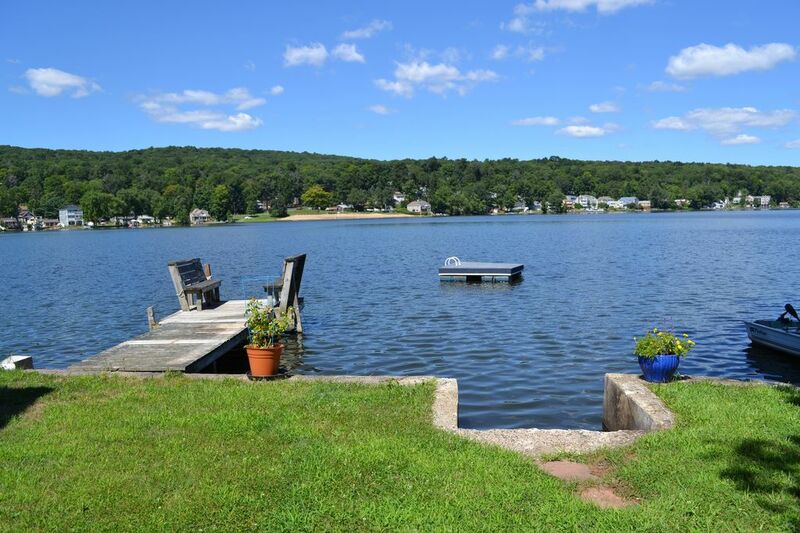 This beautiful newly remodeled cottage is located on Lake Beseck in picturesque Middlefield, Ct. The views of the lake are serene and produce an immediate feeling of tranquility. It is accessible from I 91, Easy access to Hartford, Middletown or New Haven, scenic drives,casinos, and antiquing. Close to Wesleyan University and 21 miles to the coast.There are 3 docks, one is a short swim away and the other two are adjacent to the property for boat access. Rental agreement required after booking. You must be 25 to rent this property. No smoking,parties or pets. I love the outdoors, swimming, cooking and traveling! This area is one of my favorites in New England. I love being near water and rural New England. This property has it all. It is in the middle of a rural area with century old New England farms and orchards and is direct lake front! You can swim right from the backyard and go for a drive in the country and shop at a farm for the freshest ingredients for your culinary pleasures! This property is newly built and very clean and is direct water front. The neighborhood is quiet and many families have had homes here for generations. It is very safe and the neighbors are friendly. The lake is fresh and inviting and the views are breathtaking. It is in the middle of farm country but yet easy access to major highways to Hartford, Middletown or New Haven. Lakeside Spa is 2 minutes from the property, also on the lake. Be sure to mention that you are a guest. Call in advance to book appointments! As soon as I walked in I felt at home. It was perfect for all our needs. And the view! Amazing. We go back and visit family every year. We've been doing this for 40 yrs. By far this was one of the best visits. Definitely keeping this house in mind for next time. Loved it! Lovely lakeside cottage at the end of a charming lane. Lots of light with an awesome lake view. The moment I pulled into the driveway of Betty’s Boathouse I knew I was in for a treat! I was right! Upon entering the first thing I saw was the incredible lake view. I was totally in love! The home is impeccably clean, the colors were soft and soothing and filled with light! I felt at home immediately. The washer and dryer were new and very convenient.I stayed for 25 days and the location was perfect, close to the cities and my family. I didn’t get to meet Lanna but she was always available by text. The folks next door were very nice and helpful as well. I will without hesitation, rent this little piece of paradise again! Great location to visit friends and family from. The place was very clean and as advertised. Communication was great. Home instructions were clear. Great location. This is a great place to stay, right on the lake, reasonably priced! we LOVED it! This was such a peaceful and charming place to stay. It was clean and comfortable and so lovely being right on the lake. The owner was very welcoming and responsive. We just loved it! provided. The view of the lake was beautiful. out of her way to answer all of our questions. You must be 25 to rent this property. Rental of this property requires a rental agreement after booking.